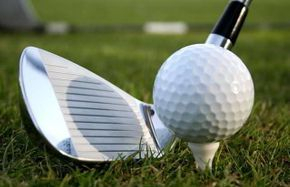 Sunshine Enterprise SL in Marbella is a full service agency for people who want to play Golf, work or live in Marbella, either to have a better standard of life or because of health issues. Marbella has the best climate in Europe. Our company offers a type of Concierge Service in which we bring you together with the right people to implement your venture. We translate and assist with notarial and regulatory affairs. 60+ Golf courses - play all year round! Suffer less from asthma, rheumatism, COPD, psoriasis, and osteoporosis by spending the winter in Marbella. We help you to stay here during that time and bring you in contact with doctors and other health professionals. Incorporation of a Spanish Company - S.L. Should you have any questions or concerns, please contact us! The Doggy Pet Sitter: Where your four-legged "family member" receives individual love and attention when you are not there. Now also offering Car Service and Secured Parking (at no additional costs!)! The best and most reliable car rental agency in Andalucia. We have been referring clients for over 17 years and all of them have been more than satisfied. Our partner in Germany (Bremen): HDA-Immo your experienced and sincere German real estate broker for stunning, luxurious Spanish properties on the Costa del Sol; offering villas and apartments, as well as local connections, investment opportunities and foreclosures. Francisco Jose Chaves Vázquez - Insurance Agent: FREE quotes for car, home, business, dental, accident, burial, ect. insurance. Contact him today by phone or WhatsApp: (0034) 608.369.300.